Monkey Go Happy: Stage 289 is another episode of the very cute point & click adventure type escape game series MonkeyGoHappy developed by Robin Vencel for PencilKids. 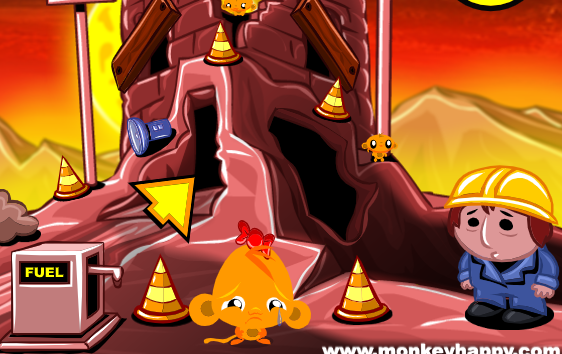 In this game, your aim is to find all the mini monkeys and make the monkey go happy! Click on objects and locations. Use items on specific spots to complete puzzles. Good luck and have fun! Robin I Still Love the games Excellent Job. Maybe you can make the short ones a little harder more of a brain teaser. MonkeyGoHappy always makes my day. Thank you so much.